There are 200,000 Finnish-speaking inhabitants in Sweden and Finnish is one of Sweden’s official minority languages. Huddinge Municipality is one of the 23 Finnish language administrative regions, which means that children there have the right to speak Finnish in pre-school. There is also a Finnish pre-school in Huddinge, which is open to all children – not just Finnish-speakers. However, in spite of that, many Finnish children go to Swedish-speaking day care/pre-school groups. 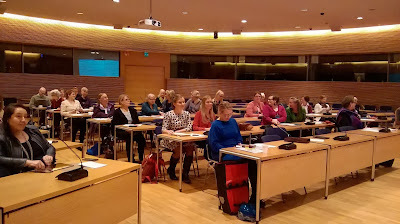 To investigate ways to improve support for minority languages, the University of Uppsala and the municipality of Huddinge instigated the Digitalisera-Revitalisera project, led by Research Director, Petra Petersen. All pre-schools that used Finnish had the opportunity to participate in this Digitalisera-Revitalisera project and 12 pre-school groups from the municipality of Huddinge participated did so. The research data were collected from three pre-schools. With the aid of Skype and tablet computers children were given wider access to Finnish children's culture and Finnish children's songs. The tablet computers enabled multimedia communication with other day care centres in which the language of communication is Finnish. However, this type of project requires not only pedagogical support, but backing for the development of such working methods, for example, because Skype calls were used for communicating in Finnish, setting up the practicalities of that required some preliminary work. For example, the sharing of Skype numbers must be made in advance and who to call and when needs be agreed on and scheduled beforehand. Skype is obviously required and so are tablet computers – as there was also a need to communicate with children and grandparents who lived abroad. The advantages of digital technology and the Internet for such language support is that they facilitate a meeting place and provide a democratic arena. Thus, this research offers children who speak a minority language practical experience in the use of digital media as well as practical experience in communicating online beyond a nation’s borders. 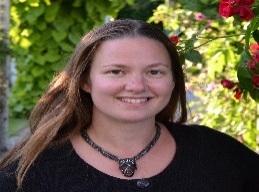 Petersen has researched other minority languages and used digital projects to do so. However, Finnish has received particular attention and led to her being interviewed on Sisu, Finnish-language radio, and in local Finnish magazines in Sweden. Petra’s research experiments and her activities to find better ways to support the use of minority languages have continued for three years, so far. She sees the use of minority languages ​​in pre-school and day care as being related to the issues of equality and democracy. Her research has also been used for determining day care and pre-school material supplies. More importantly, because this project is practical and relatively easy to implement, it is significant for maintaining minority languages ​​and also for promoting integration into Swedish society. However, such projects must be planned and be pedagogically correct. Teachers at day care and pre-school have, however, complained that they do not have enough time to conduct such research experiments and projects. The solution to that has been to schedule Finnish-speaking activities into their weekly events’ timetable. Parents were also encouraged to increase the amount of activities they undertook in their own language. For example, Finnish parents in this experiment read Moomin stories at home. 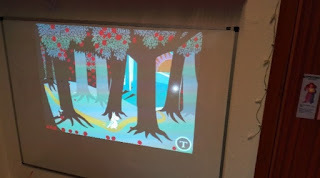 The children became very interested in the Moomin stories, which led to other children in the pre-school environment wanting to hear the Moomin stories in Finnish. This results in the increase of equality between children, while also encouraging children to learn words from the languages spoken by others in their group. The easiest words to learn were numbers. 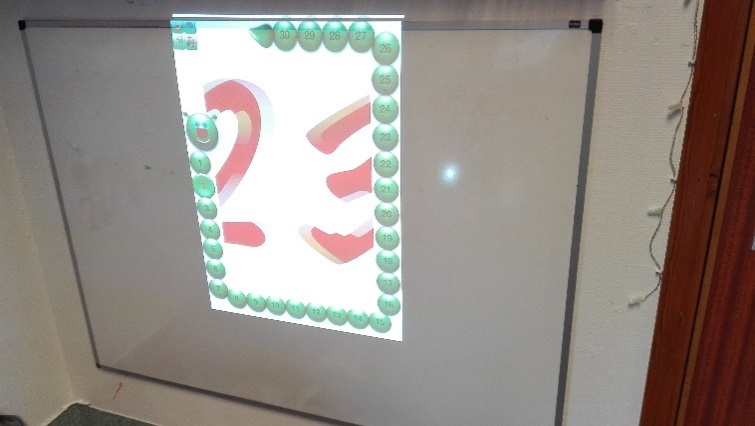 In the photograph, all the children in the group – native and non-native speakers – can follow the same story on a whiteboard (see the pictures below). Petersen's research can be applied in Finland as well. For example, in the suburb of Hervanta, in the city of Tampere, many children are also taught their home languages at school; the languages include Albanian, Armenian, Bosnian, Kurdish, Persian, Somali, Russian and Vietnamese. Playing and singing in their own native language actually strengthens a child's self-esteem and integration into Finnish society. The Skype discussions and songs are relevant and significant for children, demonstrating the importance of learning and the having the means of creation in their native language. As planned teaching. this research into digitally enabled, mother-tongue education revealed the importance of facilitating multi-literacy through information and communication technology and using technology to participate in and influence the field of activity (National core Curriculum 2016). The first experiments in Finland between two day care/pre-school centres began in January 2016. The home language of the preschool children is Russian. However, this research model is also suitable for rarer languages – spoken by children whose day care centres are located far away from each other – because connections can be built via Skype or Adobe Connection. 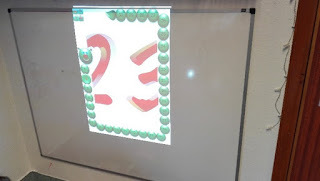 In the Russian language groups, a teacher involves the children by using Adobe Connect to enable them to play and sing with each other for approximately 30 minutes at a time. The children attend two day care/pre-school centres in Hervanta. 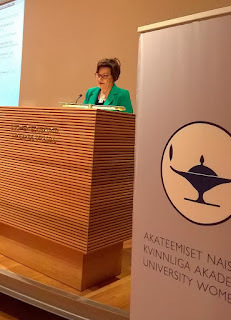 Writer: Auli Ojala PhD, Lis of Ed. Ojala works as a researcher at Early Childhood and Basic Education City of Tampere. Bjönsson, I Kylhammar & Battai (red) (2003) På väg mot en kommunativ demokrati? Sexton humanister om makten, medierna och medborgarkompetensen, Carlson förlag s. 304-305. Experiment day-care centres: Pallopuiston päiväkoti, (director of kindergarten Riitta Sirola) ja Helapuiston päiväkoti (director of kindergarten Päivi Makinen, Hervanta Tampere) Early Childhood and Basic Education in City of Tampere. Interviews 2015: prof. Iiris Attorps (Högskolan Gävle, Sverige Uppsala), forskaren Petra Petersen Uppsalan Universitet, utvecklingsledare Heidi Wasén, Huddige kommun, Sverige/Hagen day care centrum. Kjällander, S. (2011) Designs for Learning in an Extended Digital Environment Case Studies of Social Interaction in the Social Science Classroom Department of education, Stockholm University. National core curriculum 2016 (curriculum for pre.primary education) Finnish National Board of Education. Petersen, P. (2014) Digitalisera - Revitalisera raport. Upsala Universitet. Rantanen, T (2005) The media and globalization, Sage. s 8, 46-47. Selander, S & Kress,G. (2010) Desing för lärände - ett multimodalt perspektiv, Stockholm. Suomen Akateemisten Naisten Liitto - Finlands Kvinnliga Akademikers Förbund ry. järjesti 17.2.2016 Eduskunnan naisverkoston kanssa asiantuntijaseminaarin naisyrittäjyydestä. Liiton puheenvuoron piti Liiton hallitusjäsen ja Helsingin Akateemisten Naisten puheenjohtaja Helena Hiila-O’Brien. Hyvät kuulijat, onko yrittäjyys vaihtoehto akateemiselle naiselle? Opiskelin 70-luvulla. En muista, että kenenkään haaveena olisi ollut ryhtyä yrittäjäksi. Haave oli päästä johonkin julkiseen virkaan tai suureen yhtiöön. Niissä leipä olisi turvattu. Valtion leivän sanottiin olevan pitkä mutta kapea. Kun leipä sittemmin osoittautui sekä kapeaksi että lyhyeksi moni joutuikin varttuneilla vuosillaan perustamaan yrityksen. Itse en ole koskaan ollut yrittäjä, mutta työssäni sosiaali- ja terveysjärjestön toimitusjohtajana oli ainakin joitakin yrittämisen elementtejä: piti saada ajamansa asia kaupaksi, piti hankkia rahoitusta ja resursseja ja henkilökunnasta piti huolehtia, myös siitä, että jokainen sai palkkapäivänä palkkansa. Mutta omia rahoja työhön ei tarvinnut sijoittaa. Tuoreen tutkimuksen mukaan yrittäjyys on in. Vuoden 2013 nuorisobarometrissa yritteliäs asenne näkyy. Kyselytutkimukseen vastanneista nuorista 55,6 % oli täysin tai jokseenkin samaa mieltä väittämästä” Haluaisin kokeilla yritystoimintaa jossain työurani vaiheessa”. Ero on dramaattinen, kun vertaa lukua vuoden 1995 barometriin. Tuolloin 2,2% haaveili perustavansa oman yrityksen viiden vuoden kuluessa ja jokseenkin kiinnostuneita oli 18 %. Vajaassa 20 vuodessa jo yli puolet vastaajista oli yrittäjämyönteisiä. Monen mielestä yrittäjyys on nyt kiinnostava, mutta tässä kohtaa kannattaa myös kysyä miksi. Onko se mahdollisuus toteuttaa omia unelmia vai onko se pakkoraossa tehty ratkaisu? Peruskouluissa jo aletaan antamaan yrittäjyyskasvatusta, mutta millaisia käytännön kaluja opiskelija saa yliopistosta tai korkeakoulusta? Edustan täällä Suomen Akateemisia Naisia. Onko jaottelu nais- ja miesyrittäjiin vanhanaikaista, eikö yrittäjyys ole pikemminkin persoonallisuuskysymys kuin sukupuolikysymys? Tärkeintähän on näkemys, rohkeus käynnistää, sitkeys jatkaa ja uskallus ottaa riskejä. Yksi asia erottaa mies- ja naisyrittäjät: kaikesta tasa-arvon edistymisestä huolimatta naiset kohtaavat työn ja perheen haasteet kovempina kuin miehet. Vain naiset synnyttävät ja vain he pystyvät imettämään. Muu hoiva ja hoito olisi toki jaettavissa paremmin vanhempien kesken, mutta käytännössä äiti ottaa isoimman vastuun useimmiten. Luin tätä varten Suomen Akateemisten Naisten Liiton historian Korkeasti koulutetut naiset (SKS 2013) ja yritin etsiä sieltä missä vaiheessa akateemiset naiset alkavat yrittäjiksi. Historiansa aikana naisten on ensin pitänyt puolustaa oikeutta yleensä opiskeluun ja koulutusta vastaavan työn tekoon. Perheen tarpeet on tiedostettu alusta asti jopa niin hyvin, että lasten saannnin jälkeen ei katsottu sopivaksi ottaa kodin ulkopuolista työtä. Sittemmin puolipäivätyö katsottiin parhaaksi vaihtoehdoksi. Niinpä naisen oli sopivaa kouluttautua esimerkiksi hammaslääkäriksi, koska oman vastaanoton avulla saattoi itse hallita paremmin aikaansa. Kirjasta ei löydy sitä käännekohtaa, milloin naiset innostuivat yrittämisestä. Paljon puhutaan lasikatosta ja monta lasikattoa on nainen jo murtanut. Sitkeimmät lasikatot sijaitsevat yritysmaailmassa. Huomionarvoista on, että omassa talossa, eli yrityksessä, ei tarvitse olla lasikattoa lainkaan! Julkisuudessa on jonkin verran on keskusteltu siitä, miten naisvaltaisilla aloilla työnantaja, monesti naisyrittäjä, kustantaa naisalaistensa perhevapaat. Vähemmän on pohdittu sitä onko itsellään naisyrittäjällä saumaa hankkia lapsia. Milloin on sopiva hetki firman kannalta ja osuuko se yhteen henkilökohtaisen elämän kanssa. Hedelmälliset vuodet menevät pian ohi ja moni joutuu liian myöhään huomaamaan, että lasten aika ei koskaan tullutkaan. Tämä asia ei koske pelkästään yrittäjiä, vaan monia muitakin esimerkiksi pätkätöiden epävarmuudessa eläviä. Syntyvyys onkin laskenut samalle tasolle, jolla se oli 1860-luvun nälkävuosina! Syvästi henkilökohtaisilla ratkaisuille on siten laajoja yhteiskunnallisia vaikutuksia. Yrittäjyys on tätä päivää , siksi sen pitää olla reilu vaihtoehto myös koulutetulle naiselle - silloin kun hän itse siihen haluaa ryhtyä. Seminaari keräsi viitisenkymmentä asiantuntijaa ja poliitikkoa keskustelemaan naisyrittäjien asemasta ja sen kehittämisestä. Twitterissä seminaarikeskustelua käytiin tunnuksella #naisyrittäjyys.